The band laid low for the next two years. During this time, main songwriter Pat Gribben composed some new songs for a second album and the band left Chrysalis Records and were picked up by Elektra Records. With another burst of promotion and heavy airplay, their new single "Broken Land" became their first significant hit, reaching No. 20 in the UK Singles Chart and spent 10 weeks on the chart. The single was quickly followed up by the album, The Sea of Love, which reached No. 30 and also remained on the charts for 10 weeks. The follow-up singles, "Drowning in the Sea of Love" and "One Step From Heaven", failed to reach as highly and stalled at No. 44 and No. 82 respectively, though the album was certified Silver (for 60,000 copies sold) by the BPI in 1989, a year after its release. The band combined pop/rock with a folk music sound for their third studio album, Trading Secrets with the Moon. Released in early 1990 along with a couple of singles, the album failed to capitalise on their earlier success and only appeared briefly on the UK Albums Chart, stalling at No. 64. This ended their contract with Elektra. With another rethink and now down to a quartet, The Adventures returned in 1992 with the single "Raining All Over the World". Now signed to Polydor Records, the song reached No. 68, and was to be the group's final chart appearance. 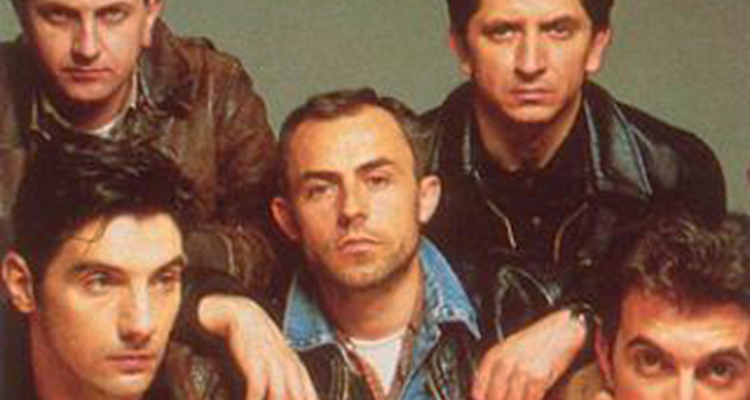 A fourth album, Lions and Tigers and Bears, was released in 1993, produced by ex-Vibrators bassist Pat Collier at London's Greenhouse Recording Studios. Despite featuring a new single, a contemporary reworking of the 1960s hit "Monday Monday", the album met with tepid response and failed to chart. The group were then dropped by Polydor, and essentially broke up soon after. Pat Gribben continues to write songs and is currently working with singer Ryan Molloy, while Terry Sharpe spent some years performing in a cover band, The Dead Handsomes. The Adventures regrouped briefly in 2007 for some gigs in Belfast, but no major reunion was ever organised. They regrouped again in 2009 to perform further small scale gigs in Belfast, as well as appearances at the Time To Be Proud and Féile an Phobail festivals during the summer. Former bass player Tony Ayre died on 20 December 2009.